You may not have heard of phytosterols, but you have likely eaten foods that contain them. Phytosterols, comprising plant sterols, stanols and their fatty acid esters, are part of the structure and function of biological membranes of plants. 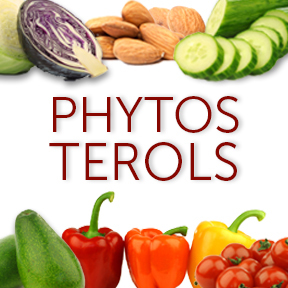 Along with their structural role, phytosterols are precursors to a group of plant hormones that regulate plant growth and development, as well as produce and maintain enzymes important to a plant’s response to stresses. Phytosterols naturally occur in small quantities in all plant foods including fruits, vegetables, nuts, seeds, legumes and whole grains with the highest concentrations found in unrefined vegetable, nut and olive oils. Phytosterols can also be obtained though fortified foods and nutritional supplements. Similar in structure and function to cholesterol, phytosterols provide the same basic function in plants as cholesterol does in humans, performing as precursors to hormone production and regulating membrane fluidity. Individuals with high blood cholesterol who are at risk of heart disease have been shown to benefit from added sources of phytosterols in their diets. Nutritional phytosterols have been found to inhibit intestinal absorption of dietary cholesterol, thereby reducing serum low density lipoprotein (LDL) cholesterol more than cholesterol-lowering medications alone. While small amounts of phytosterols can be obtained naturally through the diet, larger amounts are needed to effectively reduce high LDL cholesterol levels. Since the 1950’s abundant research into the LDL cholesterol-lowing effects of phytosterols has shown that a higher consumption of phytosterols through a plant-based diet, as well as inclusion of phytosterol-enriched foods and supplements, is considered a viable adjunct for the management of high LDL cholesterol. Along with a balanced heart-healthy diet and a healthy lifestyle, consumption of approximately one to two grams of plant sterols or stanols daily is needed to obtain cholesterol-lowering benefits. Studies have also shown that consumption of more than two grams daily has little or no additional benefit. The average American gets only about 80 mg of plant sterols daily, nowhere near enough to make a meaningful impact on cholesterol through natural foods alone. The Asian diet, considered the most sterol-rich diet globally, provides approximately 400 mg daily, while a vegetarian diet may provide about 345 mg per day. In fact, one would have to eat quite a bit of food to obtain significant amounts of phytosterols on a daily basis to achieve a reduction in cholesterol. However, increased consumption of sterols in general can help one avoid high cholesterol before it occurs and can help lower moderately high LDL levels. Those in the high-risk LDL cholesterol zone who are taking LDL-lowering statin medications can also benefit from increased phytosterol consumption, as each uses a different mechanism to reduce cholesterol. Statin medication lowers LDL by slowing natural cholesterol production and increasing cholesterol removal from the liver, where most of the body’s cholesterol is produced. Phytosterols work by preventing the absorption of cholesterol through the digestive tract. Combining the use of phytosterols with statin medications has been shown to be safe and effective for achieving a greater total reduction of LDL. Plant sterols have no known side effects beyond slightly lowering the absorption of fat-soluble compounds, carotene and vitamin E. However the effect is not significant when following a healthy, balanced colorful diet. Perhaps, the most surprising aspect of plant sterols effect on cholesterol is that they seem to work for everyone, regardless of an individual’s cholesterol profile or any other factor. Those who do not currently have high LDL cholesterol can decrease the likelihood of ever having high cholesterol by following a healthy diet, exercising regularly and increasing their daily intake of foods naturally rich in plant sterols. As well, foods fortified with plant sterols allow for consumption of the recommended dose of one to two grams daily. Plant sterol supplements are an easy and convenient way to ensure consistent consumption of measured amounts of phytosterols, especially for individuals with high LDL cholesterol levels. Efficacy and safety data from trials with suitable endpoints have shown that taking a non-statin agent along with a statin medication is a potential strategy to further reduce cardiovascular events. Meta-analysis of 15 randomized controlled trials showed that combination treatment with statins and phytosterols significantly decreased the levels of total cholesterol compared with statins alone. Therapeutic oral intake of phytosterols does not interfere with general health or the metabolism and absorption of foodstuff other than cholesterol. Because phytosterols have very low systemic absorption rates and are already present in healthy diets, increasing intake of phytosterols may be a practical way to reduce coronary heart disease development with minimum risk. Those taking statins or any other medications should always consult their healthcare practitioner before embarking upon any supplement regimen. Plant sterols should not be used in lieu of medications for those who need them. Phytosterol Complex™ by Progressive Laboratories®: This purified plant sterol complex provides a blend of three forms of plant sterol esters along with niacin. Phytosterol Complex™ is formulated to relax blood vessels and support healthy circulation, as well as support normal range cholesterol levels. Foresterol™ Coniferous Plant Sterols/Stanols by Designs for Health®: Foresterol™ is formulated to support healthy LDL cholesterol levels with Reducol®, a blend of 4 free-form phytosterols. This product may be used in conjunction with other cholesterol lowering agents for enhanced activity. Gluten free. Proto-Sitosterol Plant Sterol Esters by Protocol For Life Balance®: This supplement provides CardioAid®-S, a medley of plant sterol esters to help limit the absorption of cholesterol in the digestive tract. The formula also provides 120 mg of natural fish oil concentrate in support of cardiovascular and overall health. Free of yeast, wheat, gluten, milk, eggs, shellfish and tree nuts. CholestePure by Pure Encapsulations®: This phytosterol complex provides 1,000 mg of a balanced broad spectrum blend of phytosterols in support of healthy lipid metabolism. Gluten free, Non-GMO formulation. 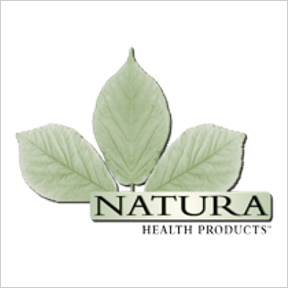 Founded in 2001, Natura Health Products® is a leading edge provider of physician formulated, exceptional quality botanical and nutritional supplements. Natura’s comprehensive formulations are designed to encourage optimal health, vitality and resilience, as well as address a variety of health concerns. Their unique, effective professional formulas contain therapeutic nutrient concentrations, as well as historically and scientifically validated sustainably farmed or wildcrafted botanicals, in support of optimal functioning of all bodily systems for lifelong wellness. Blending the gifts of nature with the benefits of science, Natura’s innovative, synergistic formulas are distinguished by their exceptional grade of purity, potency and efficacy. Each ingredient is tested to validate optimal levels of active ingredients, as well as ensure that products are free of pesticides, contaminants and heavy metals. Manufactured in the U.S. in a certified cGMP compliant facility, Natura Health Products® adheres to strict manufacturing, storage and labeling specifications. These highly absorbable, effective products are available exclusively through healthcare practitioners. Botanical Treasures®: A comprehensive, highly concentrated herbal extract formula, Botanical Treasures® delivers broad-spectrum free radical fighting nutrients to support cardiovascular and neurological health, proper cellular function and healthy aging. Ingredients include a patented curcumin complex, holy basil, ginger, rosemary, bromelain, quercetin and more. Free of wheat, gluten, soy, milk, eggs, fish, shellfish, tree nuts, peanuts, fillers and artificial colors and preservatives. Night Gain®: This unique blend of amino acid chelates and botanical extracts works at multiple levels to support the body’s natural restorative processes during sleep. These processes promote cellular repair, rebuild lean muscle tissue, encourage healthy libido and help balance the hormonal system. Free of wheat, gluten, soy, milk, eggs, fish, shellfish, tree nuts, peanuts, fillers and artificial colors and preservatives. Botanabol®: Botanabol® features a concentrated herbal extract of Russian Leuzea standardized to 5% ecdysteroids. When combined with a proper diet and essential amino acids, these compounds optimize energy levels, encourage lean muscle growth, reduce muscle fatigue and support healthy levels of anabolic hormones. Free of wheat, gluten, soy, milk, eggs, fish, shellfish, tree nuts, peanuts, fillers and artificial colors and preservatives. InflamAway™: InflamAway™ blends ayurvedic botanicals with Traditional Chinese herbals to support cellular health, homeostasis and a healthy inflammatory response. It works at the cellular level to modulate important pathways to protect the body from the buildup of by-products generated by the inflammatory response. Free of wheat, gluten, soy, milk, eggs, fish, shellfish, tree nuts, peanuts, fillers and artificial colors and preservatives. 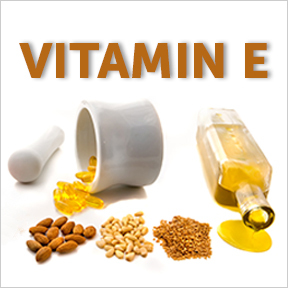 Vitamin E is a fat-soluble nutrient composed of four tocopherols and four tocotrienols, each as alpha, beta, delta and gamma, constituting a family of eight natural isomers. Per the National Institutes of Health (NIH), tocopherols are a class of lipid-soluble compounds known for their antioxidant activities and their role in maintaining cardiovascular health. Tocopherols are important for stabilization of lipid-rich mitochondrial membranes of cells, where they protect against free radical oxidation of polyunsaturated fatty acids. While a lot is known about α-tocopherol, thought to be the most active of the tocopherols, tocotrienols appear to have significant antioxidant activity, and are far more bioactive than tocopherols, resulting in a variety of heath benefits. Studies have shown that the synergistic effect of all eight compounds is most advantageous for supporting health. The major dietary sources of α-tocopherol are wheat germ, nuts and seeds, certain dark leafy greens and vegetable oils, including sunflower, safflower, corn and soybean oils. Tocotrienols are found in palm oil, annatto and rice bran oil. Largely considered to have nutraceutical properties, supplementation of tocotrienols in various population groups showed beneficial effects on cardiovascular health, immune modulation and cognitive function, as well as neuroprotection and skin defense. It appears that tocotrienols may provide valuable therapeutic and preventative options for age-related diseases, acting as potent cancer-preventive and cholesterol lowering agents. While tocotrienols share antioxidant effects with tocopherols, their anticancer actions appear unrelated to antioxidant actions. Tocotrienols and cardiovascular disease and stroke: Tocotrienols help lower plasma cholesterol by blocking an enzyme utilized in cholesterol production. Research shows that supplementation can help to lower total serum lipids and LDL cholesterol, with the added benefit of reducing lipid oxidation, a precursor to arterial damage that leads to heart attack and stroke. Tocotrienols may improve heart muscle function, glucose and insulin tolerance, and also reduce inflammatory cells in heart muscle tissue. In addition, tocotrienols have been found to reduce homocysteine, an important contributor to cardiovascular disease. They also may reverse some symptoms of metabolic syndrome by improving lipid profiles and inhibiting new fat deposits. Tocotrienols and neuroprotection: Normal brain activity results in oxidation, inflammation and toxicity, all factors involved in the process of cognitive decline. Studies have found that those with mild cognitive impairment are more likely to have lower blood tocopherol and tocotrienol levels than healthy people. Tocotrienols may be effective in protecting brain circuitry, as older persons with higher levels of tocotrienols have a highly reduced risk of cognitive decline. Their unique biological properties appear to show great potential as neuroprotective dietary factors. Tocotrienols and anti-cancer properties: Tocotrienols may impact several factors involved in tumor development and growth. Tocotrienols have been shown to exhibit tumor suppressive, antiproliferative and antiangiogenic activity, helping to inhibit the proliferation of cancer cells and the growth of new blood vessels in tumors. They also trigger apoptosis, programmed cell death, that shrinks existing tumors, and appear to block an enzyme required for cancer cell invasion and metastasis, the same enzyme blocked by statin drugs. Tocotrienols are potent gene modulators of numerous enzymes involved in healthy function, helping to suppress inflammation, glycation and other processes that contribute to age-related disease development. Tocotrienols are increasingly recognized for their potential roles in cancer, heart disease, stroke, diabetes, liver disease and neurogenerative disease, as well as osteoporosis prevention. Continuous intake of these eight compounds known collectively as vitamin E, is considered advantageous to good health and healthy aging. E-400 Natural with Mixed Tocopherols by Professional Supplement Center®: E-400 Natural provides pure vitamin E, as bioactive d-alpha, d-gamma and d-beta tocopherols in support of increased antioxidant activity, healthy circulation and tissue recovery. Gluten free formulation. Delta-Fraction Tocotrienols by NutriCology®: This powerful formula provides delta and gamma tocotrienols derived from annatto beans. This formula is designed for the maintenance of healthy cholesterol and triglyceride levels, increased blood levels of CoQ10 and support for endothelial and metabolic functions. Free of preservatives, diluents and artificial additives. Hypoallergenic formulation. Gamma E Mixed Tocopherols & Tocotrienols by Life Extension: This full spectrum formula provides all eight tocopherol and tocotrienol components of vitamin E in support of potent antioxidant protection and overall health. Tocotrienols are sourced from Malaysian red palm oil. Non-GMO formulation.